Tower of London Run offers the unique opportunity to actually go down into the moat of the Tower of London. 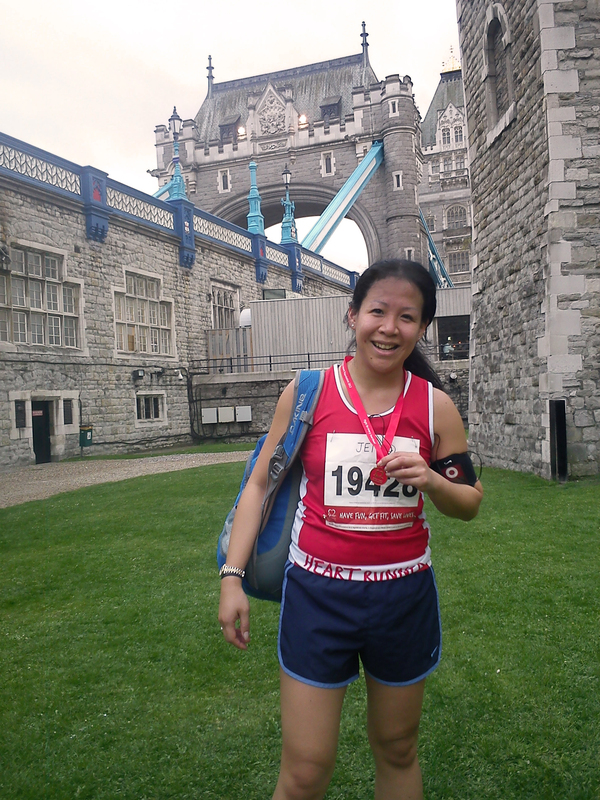 Back for its 35th year, this is an event not to be missed, giving runners the unique opportunity to run around a world heritage site. The 1km route is all on grass and although mainly flat can be slightly uneven in parts. I need to bring back activity into my life. I feel unhappy being on the sidelines. It’s been 7-8 months since being instructed to stop running due to my hip injury. 7k in 40mins. It was unexpected not flat, and lots of ups and down, where the pot holes and sunken grass lay on the castle’s moat. At 7k you can ask at the tent, where I then paused not realising what lap I was on!! As you go round the castle, it suddenly is very windy and you could feel your body being pushed against every part. Followed by a slow 8k out of the 10k in 46mins. Hips misbehaved at 4.5k. It was good enough for me to get back into some sort of fitness once again. Sneakers you’ve been missed. 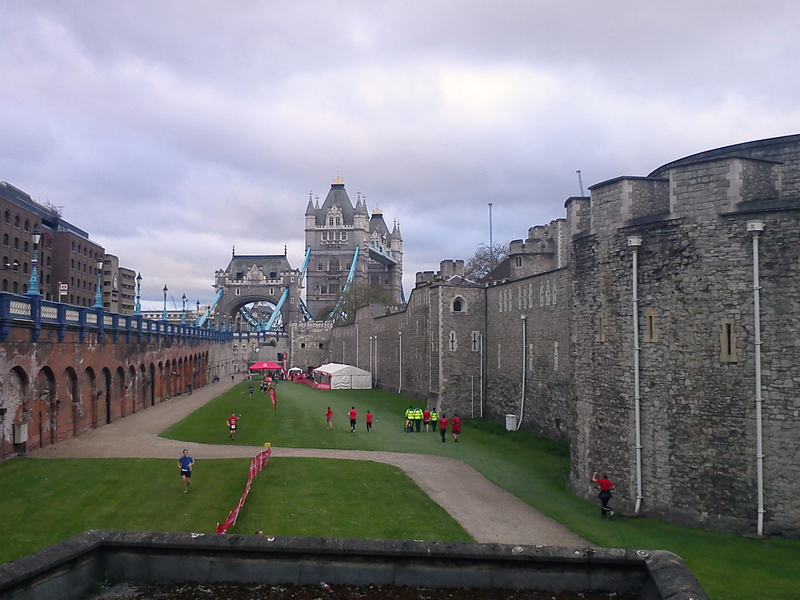 It being the Tower Of London walk, jog, run, it was a good restart to have no pressure on me. Just wanted to see how much distance I could cover. Very very windy. Many people in groups walked and many handicapped people were involved and enjoying a leisurely walk, and with the moat so wide, it was not at all a distraction. There was a DJ and he was good at spurring names on, but I had my ears in. haha. So very happy and quite glad, that I tried and got a distance in. Happy days. Am I ready. Gosh who knows. I had a break dancing – I know – for hour and half over the bank holiday weekend, which I don’t know is what has resulted in my hips misbehaving the day after when seated back at work. It seems more when I am seated very long periods. ANyhow, Bag packed last night as I dwelled upon what I was to face today. 8-9 months of inactivity and I am determined to finish the 10k, even if it means I am to begin slowing down when i sense pain. Weather has the ground wet from an overnight shower, but the heat of the bank holiday is still in the air. Much steadier pace. Indoor treadmill. Was hard as had people wanting to use the machines in my small home gym, which has often been the case scenario for harder to train. 35mins, 6k. But a very tiring day and after much partying. Dehydrated. Feeling good from yesterday’s start, work colleagues were very supportive. After 8months inactivity, I was feeling the bug again. Friends were trying to get me to go drink in the glorious sunshine we are now experiencing in 14-16 degrees after a ever so long dark winter. With several things on my mind from yesterday, it was good just to pound it out. Just under 5k, I was good to carry on, but intention to not over do it. I was going back on my old training pace. Felt good. So as I came off i went for floor exercise, and i’ve still got the press-ups in me. haha. Nice one. I then was learning some tips from a fellow gym member who was speed roping. To try side to side. Cool. A good workout. very buzzing from it. I have been looking at nearby gym at work with offers. I am determined to fit routine back in my life, and I know when work is mentally and emotionally exhausting, when I commute home, it is hard when the home gym is packed as I cannot do longer runs, when people are waiting for the machines. Just visiting a gym near work, that all to familiar scent of determination and deodorant, and the muscle men confused that I am by the free weights yard, returned that buzz in me. They open 0645-2200 so i have options of before work or after. I will look into it but need to check with my freelance booking. So in the home gym, the day after the London Marathon, the home gym is empty! and I managed just over 4k, in 30mins at a good pace. I stopped at 30mins and I felt I was free running feeling past 20mins. I was sailing, and sped up, but I knew not to over do it, so safely stopped at 30mins and felt good for me.